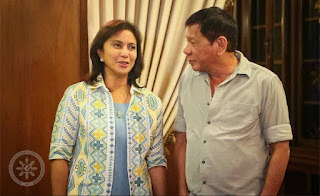 Vice President Leni Robredo paid a courtesy call on President Rodrigo Duterte at Malacanang on July 4 and found herself pleasantly surprised that Duterte is totally different from his TV persona. Leni said that Duterte is so unlike her preconceived idea of someone prone to cursing, easily angered, and who reprimands anyone who gets his ire. Duterte was described by Leni as someone who is very respectful and someone who speaks gently. "Nahihiya pa nga ako kasi,kasi mina-'ma'am nya ako,"she said in an interview by ANC. (I was ashamed because he was calling me 'ma'am.). Like their meeting at the AFP Change of Command, Robredo described her meeting with Duterte as cordial and casual. Although this time, there was more rapport between the two as they talked about Jesse Robredo, Leni's deceased husband and Duterte's contemporary. Jesse served as mayor of Naga City for a long time, and apparently talked about Duterte with Leni. Robredo also said they sort of exchanged notes about their new lives, since both of them come from the province before being thrust into national limelight. Asked if Duterte offered her any position in his Cabinet, Robredo said he did not make any offer nor did she expect any. She also said she went to see Duterte only to convey her message that she will fully support him, and not to seek for any job. 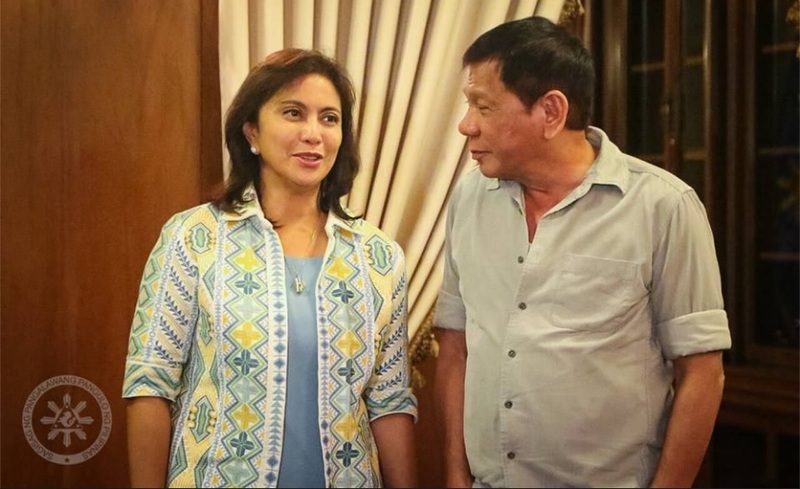 Though Duterte did not offer Robredo any position, he thanked her for the support and also told her to make regular visits to Malacanang so she would know what's happening. Duterte told the Vice President that they will continue to talk with each other. Filipinos are hoping that President Duterte and Vice President Robredo can really work together as a team, if only for the good of the country.